Falmouth Town as seen from St Anthony's Head. Just outside the picture on the left is an old fortress called Pendennis Castle. 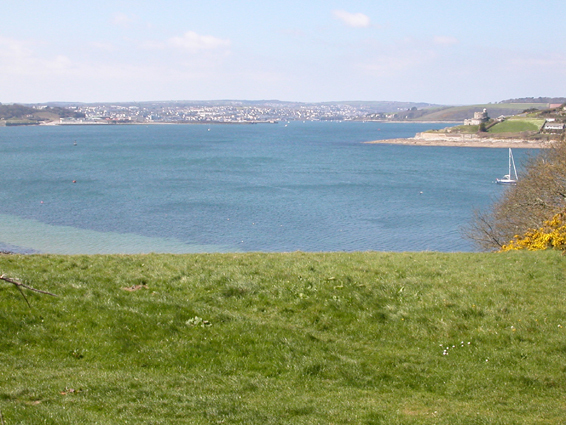 This, along with St Mawes Castle (in the foreground of the picture on the right) formed twin defences against sea attack on the estuary of the River Fal.